Is in car navigation still worth paying extra for? What motorbike would you suggest for commuting into London? Are aftermarket tyre pressure monitoring systems safe and how much do they cost? What car should we replace our Skoda Yeti with? 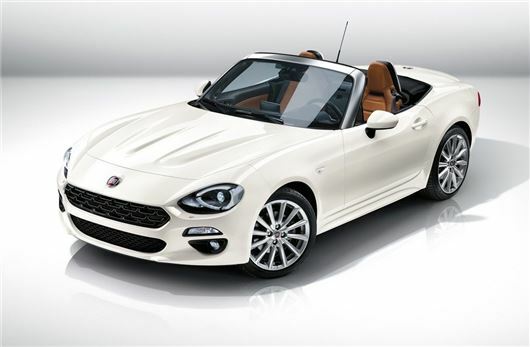 Fiat has unveiled its new sports car - which also sees the return of a famous name, the 124 Spider. It will go on sale in in the second half of 2016 with prices expected to start at around £20,000. If it looks familiar that's because the newcomer is based on the Mazda MX-5. But unlike the MX-5, the 124 Spider comes with a turbocharged engine in the form of Fiat's 1.4 MultiAir Turbo producing 140PS and 240Nm of torque. Fiat says the engine has been tuned to deliver responsive power across the rev range and it comes with a quick-shifting six-speed manual gearbox. As with the MX-5, the 124 Spider is rear wheel drive and has a lightweight body, so we expect it to be as fun to drive as the Mazda. Weight has been kept down thanks to the use of aluminium for the bonnet and boot lid as well as the bulkhead panel. The electric power steering has been tuned to provide good response without too much weight, according to Fiat. The roof comes with a spring-assisted opening and closing along with automatic window lowering and raising when you fold it down. It's not an electric roof though - you have to fold it down manually. Like the MX-5, the fabric roof is fitted with a headlining to reduce exterior noise and insulate from the cold.